First of all, I'm so excited about new blog design. I LOVE it! Casey and I have been bouncing around ideas and she came up with this fabulous design for our banner. Thank you so much Casey for doing this. Especially since I don't know how to do this yet. Today I’m excited to interview debut author MerrieHaskell about her book THE PRINCESS CURSE which was released September 16, 2011. When I read in an interview with Merrie thatshe literally lives 10 minutes from me, I knew I had to interview her. I loved how Merrie plotted this. Her story definitely did not suffer from middle story sag. It was like Wow! There's so much more here. Hi Merrie. Thanks so much for joining us. Oh, gosh. Long story boring or short story too short? There is toomuch; let me sum up. I’ve been writing stories since I was seven or so. My momeven saved my first story, so I have proof! However, it wasn’t until I had verynearly turned 28 before I woke up and said, “You know, if you don’t do this,you’ll never do this.” I’d been writing much more consistently throughout thatprevious year, but I’d rarely submitted anything for publication--and certainlynever with vigor or persistence. But in any case, I had always wanted to be a writer,to the point where, when experiencing something awkward or awful or painful orweird or [insert your favorite negative emotion], I would fantasize about howthis would make me a better writer--which would lead me to analyzing the bademotion/situation from a more distanced perspective. I don’t think that’sunique to writers--I think actors and other sorts of artists who perform do thesame thing. I’ve been doing it since I was at least eleven. 2. That's awesome your mom saved the story. Maybe she knew you'd be an author one day. Your book is set in Romania. I read that you didn’t knowanything about the country before writing your book. What research did you doin developing the setting? Well, that’s not quite true. I did knowsomething about Romania. My cousin married a Romanianwoman about five years prior to my writing the book, and I knew a lot abouther--I’d certainly eaten a lot of her cooking, too, and I think there’ssomething inherently vital in experiencing a culture’s cuisine. My aunt andcousin had visited Romania a few times, and had comeback with lots of stories (and pictures!). That said, I only knew much aboutdaily life in the modern era amongst a very slender demographic that consistsof young, educated, half-Hungarian women (my cousin’s wife and her sister). Romanian history, on the other hand, was something Iknew only slightly and in patchwork format from Roman and Byzantine and Ottomanhistory, and a sixth-grade unit on communism! And frankly, I never put togetherthat a lot of the history of Rome that I knew had a darn thingto do with Romania. I would say prior to mycousin’s marriage I knew almost nothing about Romania; between the marriage and thecommencement of the book, I knew select things. Overall, though--I have to say,not knowing a country’s myths and legends means you don’t know anything aboutit, and it took writing this book to get any facility with that at all. In college, I was an anthropology major, and sincethen I’ve been working in a major academic research library, so I have areasonable facility with finding information. I read all the anthropological,historical, sociological, etc. information I could get my hands on about Romania, both books and articles. Italked to librarians and got their help finding materials. I read every book ofRomanian fairy tales and legends I could get my hands on (and often had toresort to interlibrary loan). I subscribed to Romanian blogs. I learned somevery poor Romanian. I spent a lot of time with Romanian etymologies and Googletranslate. I read guide books. I stalked satellite imagery. I read historicalatlases. I watched anything I could find--the Romanian episodes of Top Gear,Man vs. Wild, and Anthony Bourdain’s show, for example. I talked to mycousin, too! And then, just after the book went to copyediting, I actuallymanaged to get to Romania, so I had time to correctanything I might have gotten wrong in the galleys. The sad thing is, I think I found everything inEnglish that there is to be read about Romania, and I still felt semi-bereftwithout going there. It’s hard to write a culture you have not steeped in foryour whole life. I was lucky in that I had three years with Romania, since it took that longbetween writing the book and releasing it (there was an agent hunt and a bookcontract in the middle). I wish I had more time. I glossed the surface of somany things. My biggest concern was getting something big absolutely wrong, ormaking Romanians feel like I had been an extremely inconsiderate tourist intheir culture. It still is, in fact; I wait daily for that outraged email. 3. Wow! I can't think of anyone doing so much research to try to be accurate. I don't think you should worry about someone getting upset. You did everything you could to get it right. I also read that you never intended your story tobe a retelling of Beauty and the Beast. Tell us how it developed into or couldbe perceived as a retelling of this story. 4. That's really something how you didn't realize it was like Beauty and the Beast. Though your take is very unique. Maybe that's why you didn't see it at first. You’ve got a lot of characters, including twelveprincesses. What were the challenges in making them all unique and do you haveany tips on character development? Well, to start with , I didn’t name all of theprincesses in the book, you may have noticed. I do have all their names writtendown on a sheet of paper, of course, but realistically, there’s no point forthe audience to know all of them. I only needed 3.5 princesses to stand out:Lacrimora, our seeming villain; Otilia, our sympathetic princess; Maricara, ourtrue villain; and then all the other princesses combined equal about half aprincess for the purposes of the novel. They’re there, but they’rebackgrounded. In retrospect, I perhaps should have tried to develop a groupidentity more for them. Perhaps I did. “The princesses” are referred to a lotmore than any individual one. But beyond the princesses there are just a ton ofcharacters. I feel bad that I lost at least one of them halfway through--thecobbler’s apprentice never shows back up from his first scene. I tried to writehim in over and over and over--there are drafts with tons of him--but he nevermade it past that one scene in the end. I used a few methods for character differentiation. Itried in early drafts to associate a color or a physical feature or abackground fact with different characters, though I know that many of those didnot survive contact with the 8th draft. It really helped that I had everyonevery firm in my head. If I had trouble with a character, I would hold a, erm,private conversation with them (purely as a writing exercise). By the end, I felt like I practically lived in CastleSylvian--I could have walked to the privies in the middle of the night, and Icertainly would have been able to send everyone a birthday card on time.Perhaps this is an artifact of having a very large extended family plus workingin a very large department of a very large library; I’m used to being one ofabout 30 people that I work closely with on a regular basis. 5. That's a great idea to focus on the three most important of the princesses and the most important characters in your story in general. You did a fantastic job plotting your story. Many authors mighthave ended the story with the discovery of the princess’ secret and a quickresolution but that revelation was in the middle of the story and there was somuch more plot-wise after that. Tell us about the process of plotting out yourstory. Were there any major changes after the first draft? The very, very first draft for this book was actuallya novelette, it did end at that point. Dragos had a different name, he wassolely a villain, and Pa kills him. When I decided to turn the shorter storyinto a book, I immediately knew that I hated that ending. I can’t standsimplistic villains. Further, I already knew the history of how the 12 sistersended up in the Underworld, dancing, and I knew it was really the eldest’sfault--she threw the rest under the bus to save herself. I had no interest inpunishing Dragos (then named Lord Bogden); I suspected his motives were pure inthe end. Major changes... well, yeah, the first half of thebook used to feature an extremely long sequence with Reveka getting lost in theforest, an assassin, meeting first Frumos, then Mihas, and finally Otilia’sfamily on her way back to the castle, as well as a blacksmith named Jonic whowas later merged into the character of Armas. It was my agent who actuallycalled out that this sequence as unnecessarily long, though frankly, I didn’ttake it all out until my editor kept saying, “The first part of the book...something is wrong.” It took me a while to see how that didn’t work. 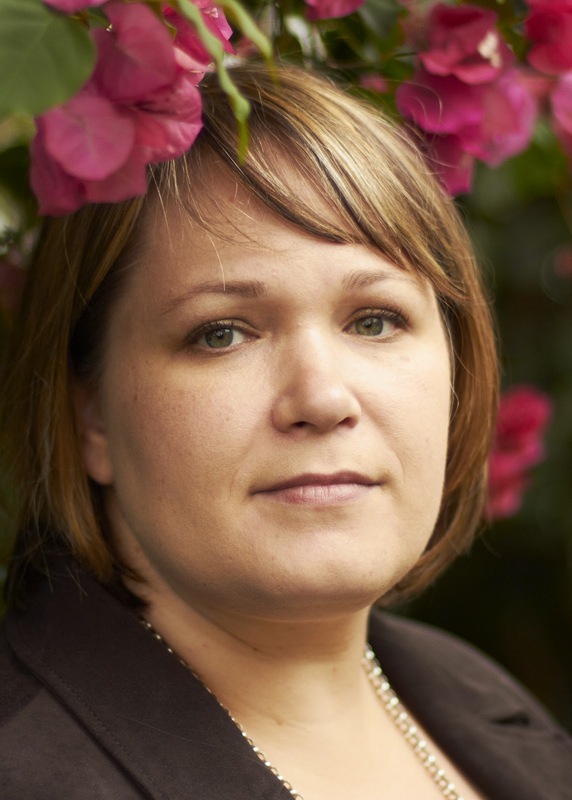 I had avery journeyman (maybe even apprentice) writer’s view on how to introducecharacters. Bring them on one at a time! In dramatic ways! With import and intriguein every moment! It was silly. The second half of the book went through a lot ofrestructuring--there’s such a tone shift from the first to second half, and myeditor wanted to make sure it matched a little better than it did when shefirst got the manuscript. I can’t say enough about how brilliant both my editorand agent are; I have supremely lucked out with both of them. I have learned somuch, and continue to learn, from both of them. It’s very humbling. It alsomakes me extremely impatient with people who dismiss editors and agents,because while I do truly believe that the wrong agent is worse than no agent,there is no book that can’t be made better with a keen editorial eye and awriter who listens. 6. That's great how your agent and editor helped you. And it is so important to be willing to change things like you did. It gives us all hope that we can fix our less-than-perfect plots. I know you work full-time at University of Michigan too. Share how you jugglewriting, marketing your book, and working full-time for the rest of us who haveto do the same thing. Well, first, I have an incredibly understanding bossat UM, and I burn a lot of vacation time on writing and writing-related things.But most of the juggling is done by being ruthless about cutting myextracurriculars. So--knowing that 40 hours a week are at work, andanother 5 hours are commuting, and 5 hours beyond that are lunches, that’s 50hours I spend away from home. I write during lunch breaks--I can usually get500 words in, sometimes a thousand. I dictate memos or listen to writing booksand podcasts on the commute. At home, we eat dinner and watch a very littletelevision before the Writing Hammer is brought out (a squeaky plastic hammermy husband bought at Cedar Point), and it is pounded like an obnoxious gavel ifI’m not writing promptly at 8PM. Then, I write between 8-11. I get Thursday nights off. Though mostly, that nightends up being the marketing/email answering night. I have to say, it’s the marketing that suffers. I keepa Twitter account and a blog, and I have to use a scheduler on both to makesure everything gets updated semi-regularly. I am keen on anylabor-saving/time-saving device or program you can think of. I have the addonthat disables the Internet on my browser after 15 minutes. I only watchtelevision through the DVR (saves up to 12 minutes per hour of TV!). 7. Your schedule sounds similar to mine though I can get some work done before my full-time jobk and stop working at 9. I try to be productive on my lunch hour too. I so agree you have to be disciplined to work and get writing/social networking done. Though I could use to disable the Internet.Your agent is Caitlin Blasdell. Tell us about yourroad to obtain an agent and a publisher. I will tell you right now: I was lucky and I’ve had iteasy. I don’t think that speaks to the quality of my writing or anything likethat--I mean, I’m competent, I hope!--but more to right book, right time, rightmarket, right agent, right editor, right... everything. I wrote The Princess Curse over the summer of2008, but didn’t look for an agent until March 2009. I studied the heck out ofagentquery.com, and zeroed in on a list of 51 agents that represented the threegenres I believed I would eventually want to write in (YA, women’s fiction, andsf/f). Then I ranked them based on what I knew about them, in particular, whothey represented and their records with foreign sales. Then I queried 3 agents.I had a system: query three, and for every rejection, query 2 more. In the interest of full disclosure: my top 3 wereCaitlin, Jennifer Jackson (who had just started repping YA), and... oh, ScottWesterfeld’s agent. I forget her name. Anyway, almost straight out of the gate (well within aweek), Caitlin asked for a partial. I had no plan for success! Just rejection. So Ipanicked and queried 5 more agents. Just so I wouldn’t be dead in the waterwhen the inevitable rejection was forthcoming. (As someone who cut her teeth onscience fiction short stories, success right out of the gate was notanticipated.) And then Caitlin asked for a full, and I didn’t know what tothink. While the full was with Caitlin, I got threerejections. I signed with Caitlin at the beginning of April, and immediatelygot two more requests for partials, that I politely urned down--and about threemonths later, the last rejections came trickling in. Caitlin and I did edits, and I dragged my feet on themout of a bad perfectionist moment. The MS was ready to go in November 2009, andshe put it out on submission, in spite of the adage that nothing ever sells inlate fall. But it did--about 3 weeks in, there was an auction. Prior to theauction, I had some phone conversations with a few of the editors who wereinterested, which was a surreal experience--“Here’s how I’d want to change thebook if we bought it.” People sure can have different visions... Thankfully,the best bid was from the editor who liked the heart of the book the way itwas--no beefing up of romantic triangles, no making the father into abrother... Cue angelic chorus + sighs of relief! 8. Yes, we all want to be that lucky. What did you do to market your book? In retrospectare there things that worked really well or that you wished you had donedifferently? I did a few Goodreads giveaways, plus one on Twitterand one on Facebook. I started a blog--less for promotion and more for “here’sa place for me to disseminate information and for people to ask questions.”(I’ve been blogging on various platforms since 2000, so I didn’t have anyillusions about what a blog might actually do for me.) I joined the Elevensies,which was a group of YA/MG authors with debuts out in 2011; they were/are agreat resource, and they did giveaways and printed up fantastic posters. I helda reading at the library (where I work), which was open to the public, andpurchased a magnificent cake for it--we had 90 people attend. I attendedscience fiction conventions, but I would have done that anyway. Overall, the thing to remember about marketing in generalis that marketing is not simply advertising. The best marketing for my book wasfrom my publisher’s marketing people and my editor; they talked up the book at ALA and to librarians, theycirculated advanced reading copies, they made sure I got a good spot on the newreleases shelf in MG... It’s hard to market to ten-year-olds, but if anyone cando it, I’m sure it’s HarperCollins. That’s all stuff that would have beenimpossible for me to do, and I don’t know that there’s much that could beat it. I am working with my editor on another stand alone MG,which I am currently calling A Handbook for Dragon Slayers, set on the Rhine River in the 1130s. There is anextremely faint connection to The Princess Curse, and I consider it setin the same world--the same slightly sideways version of Europe, even though we are hundredsof miles and years away from Reveka’s story. We’ll see if the title sticks. Thanks Merrie for all your advice. You can findMerrie at her website and her blog. Merrie generously offered a copy of THE PRINCESS CURSE for a giveaway.All you need to do is be a follower (just click the follow button if you’re nota follower) and leave a comment by midnighton March 10th. I’ll announce the winner on March 12th. If your e-mail isnot on Blogger, please list it in your comment. International entries arewelcome. If you mention this contest on your blog, Twitter, orFacebook, please let me know in the comments and I’ll give you an extra entry. Here's what coming up in the next few weeks. 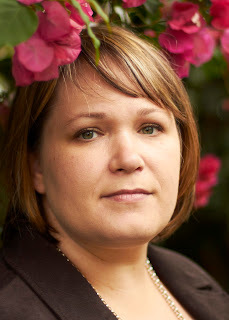 On Friday, Casey is interviewing Deborah Blumenthal with a giveaway of THE LIFEGUARD. Next Monday I'll be doing a newer release YA giveaway. 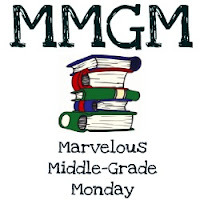 The following Monday I'm interviewing a middle grader for my ASK THE EXPERT series and giving away another popular debut YA book. Then the next Monday I'll be interviewing Jenny Lundquist and giving away an ARC of SEEING CINDERELLA. I seriously loved that book. I LOVE hearing these kinds of stories - I seriously never get sick of the query-->--sale story. Congratulations, Merrie! I'm one of your Michigan "neighbors" like Natalie. Natalie - we need to get Merrie to an SCBWI-MI event! I love that you have a Writing Hammer, and I'm so impressed by all the research you did for this book. And congratulations to Merrie. Loved hearing about your process and look forward to reading the Princes Curse! Love the interview! i've got this book sitting on my shelf. I'm hoping to read it this next week. Great interview! I've been meaning to get my hands on this book. Sounds lovely! The book sounds very interesting. Thanks for the interview Merrie and I like the new look of the blog. The book sounds great, and that cover is absolutely stunning! This sounds amazing and is now on my list! Thanks so much for the very thorough interview. Oooh I remember this book from last year. I would love to win a copy. Thank you so much for the interview too. An excellent choice for an MG giveaway, thanks for the chance. I am following the blog with GFC and I also signed up to receive emails. I've tweeted about the giveaway, hopefully you'll get lots of entries. Fantastic interview! I've had my eye on Merrie's book to read and review on my blog, books4yourkids.com, but haven't been able to purchase it. I would LOVE to win a copy and will read and review it ASAP! Thanks for all the great work you all do at LR. The new header is awesome, ladies!! Thanks so much Merrrie for sharing all your advice and offering a book for a giveaway. I love the new look! Very professional looking. 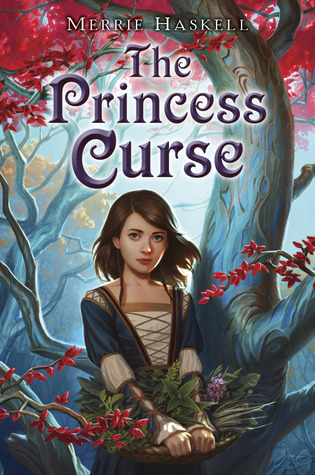 And the cover for THE PRINCESS CURSE is super pretty! What a great, detailed interview. I'm looking forward to reading the book. Thanks! Five hundred to a thousand words? During lunch hour? I always struggle with the concept of entering the flow of the story and simply getting words on the screen (or paper), naturally being one of the edit-and-revise-as-they-go folks. It's a tendency I try to shut off at times, but . . .
hi miss natalie and miss casey and miss merrie! wowee the new blog look is fantastical! that was a neat interview. i love knowing stuff bout authors and how they wrote a book. it always makes me wanna do way better on my writing. that princess book sound neat. i hope its not too girly for me. ack! ha ha. for sure im waiting for that handbook for dragon slayers. wow! how cool is that! AM-AZING interview, Natalie and Merrie! I'm not big on princesses, but after reading the interview, I am starting my engines. Also, I adore the new blog header. Somebody is talented! The Princess Curse sounds like a fantastic book! I can't wait to read it. Thank you for the interview and giveaway! Fingers crossed. The Princess Curse sounds great! I love fantasy and look forward to reading it. This sounds like an awesome book. I love the cover. Great interview - it's fascinating to hear about Merrie's process and journey! What a great interview. Loved reading about your journey and how it went to auction. The book sounds fabulous! So amazing you and Natalie work very full time jobs and still manage to find time to write. Kudos to you! The banner looks awesome guys! Sounds like a great read! THanks for another interesting interview! I would love to read THE PRINCESS CURSE with my daughter thank you. Sounds like a great book, and I love the cover. Even more, I like the twist that a girl tries to save the princesses from their curse rather than a boy. :) Hurray for twists! Wowzers...this is a must read for me now. Thank you for the opportunity to win my own copy! And--loved loved the information on all that research. Hats off! Its great to meet Merrie and best wishes to her and The Princess Curse! Great interview. Sounds like a good book! What a sweet cover and I loved the interview. Here's to wonderful success for The Princess Curse. What a thorough interview! LOVE the cover of that book! My daughter and I saw The Princess Curse at the public library and I recommended it to her because of a review I read on Shannon Messenger's blog. My daughter read it in one night and loved it. I definitely want to get a copy for my school library (and for me to read as well). Thank you for taking the time to do this interview/giveaway :) This book looks great!! It sounds like a great book. Thanks for doing this interview/giveaway! I'm loving the book concept. Sign me up for a chance at a copy. I think this book sounds just great! And wonderful interview. I would love to read this book - thanks! Great interview! It sounds like an awesome book. I bet my daughter would love it. Thanks for the interview and giveaway! I love fairytale retellings. This is the first time I've heard of this book, but it sounds like a lot of fun! I've always been interested in the history and geography of Romania, so it sounds like The Princess Curse might be a book for me! This has been on my TBR list, but I haven't gotten around to aqcuiring it. Wow, Merrie had great stick-to-it-tiveness with this book. Gives me hope! I love the cover! This is one book I have to read. Would love to win a copy! I love princess books!! Count me in! Count me in. I love the dancing princesses but also always felt this gap in why they were dancing everynight. Would love to read this one. I'm adding The Princess Curse to my TBR pile. Thanks!